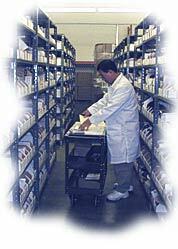 Velox Solutions ensure fast and cost-effective materials management with minimum risk. From schedule planning to supplier management, we help companies reduce cost. Our team of business professionals work together to exceed your material requirements. One of the fastest and most effective ways to increase revenues and enhance profits is to improve the effectiveness of pricing. It is far from easy. You must be able to statistically analyze data for thousands of products rapidly and efficiently. The Velox PRO solution provides the same level of value to pricing that a fully negotiated Volume Purchase Agreement offers. Depending on the company, successful PRO implementations have led to improvements in top-line revenue of up to 30%, directly impacting the bottom line. Supply chain logistics is becoming increasingly complex and dynamic. The multi-tier supply base is growing and your dependence on outsourced manufacturing and logistics is increasing. Managing exceptions are no longer an occasional requirement, but the norm. Glitches at a single supplier or even a supplier’s supplier are affecting your ability to meet customer commitments. The Velox SCM solution offers companies an opportunity to reduce inventory, increase turns and consolidate procurement requirements. Velox manages material at a system level, providing a one source solution.